We’ve heard reports out of CinemaCon and Wondercon that the new movie X-Men: Dark Phoenix might be a fiery franchise finale worth cheering for. 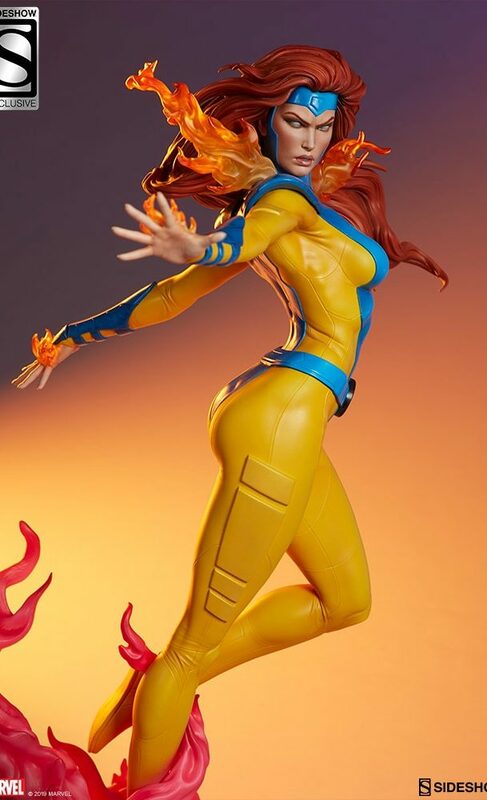 Conveniently, Sideshow Collectibles has just announced a new statue of the X-Woman who wields the Phoenix power. Or is it wielding her? Via Bleeding Cool, Jean Grey will join their Premium Format X-Men collection. Wearing the classic blue and gold duds, Jean is detailed down to the visible seam lines that give her outfit more than just a body-paint look. She’s held above a snowy base with red telekinetic energy, for that fire-and-ice contrast. Even more so if you spend the extra 20 bucks on Sideshow’s exclusive edition, which features interchangeable alternate flaming head and hands. If you’re going to talk to that hand, you’d best speak fast. The last guy who did got a sick burn. The statue stands, or levitates if you like, at a height of 21 inches. 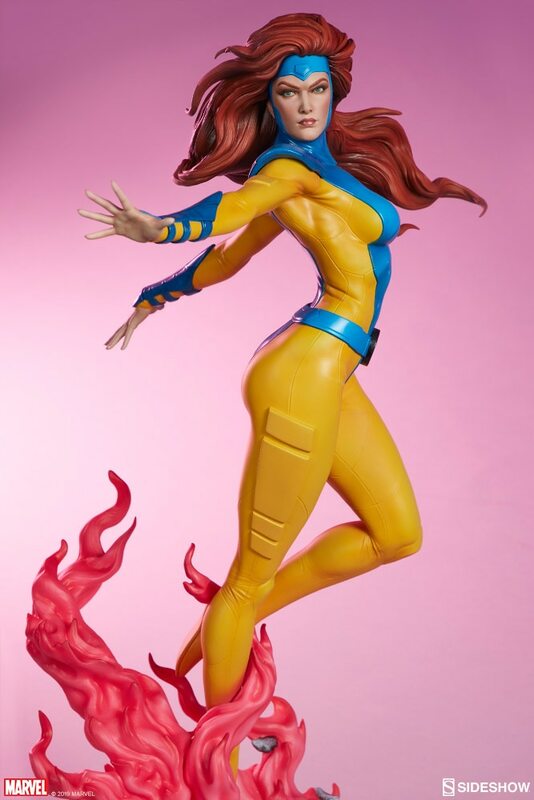 On sale as of noon today at Sideshow’s site, Jean Grey will run you $565 for the regular edition. For the version that’s even more fire, $585. Mercifully, Sideshow allows various payment plans if you can’t quite swing that all in one go. Check out our gallery below for a fuller look at the figure from multiple angles. Then, if you want to know more about the character, Dark Phoenix will hit theaters nationwide on June 7th, with Game of Thrones‘ Sophie Turner as Jean Grey. 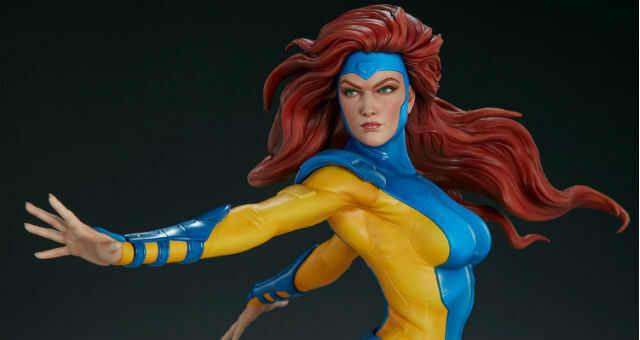 Collectibles featuring X-movie likeness have been scarce in recent years due to Disney-Marvel not owning those rights, but post Fox merger, that’s likely to change. It has, however, led to stunning comics-based items like this one. Are you ready to preorder this flaming maiden? Let us know in comments below!